Creating opportunities for Creative Support service users with mental health needs to participate in and contribute to their local community, working in partnership with other third sector organisations. We are honoured and delighted to receive this award. We would like to thank everyone who has been involved with us over the last four years for their help and support which enabled Sandy Lane Gardening Group and its members to be recipients of this prestigious award. Sandy Lane Gardening Group was one of only two group in Lancashire from over 300 nominations to be chosen for this honour. Members of the group travelled to Buckingham Palace to attend a Royal Garden Party. 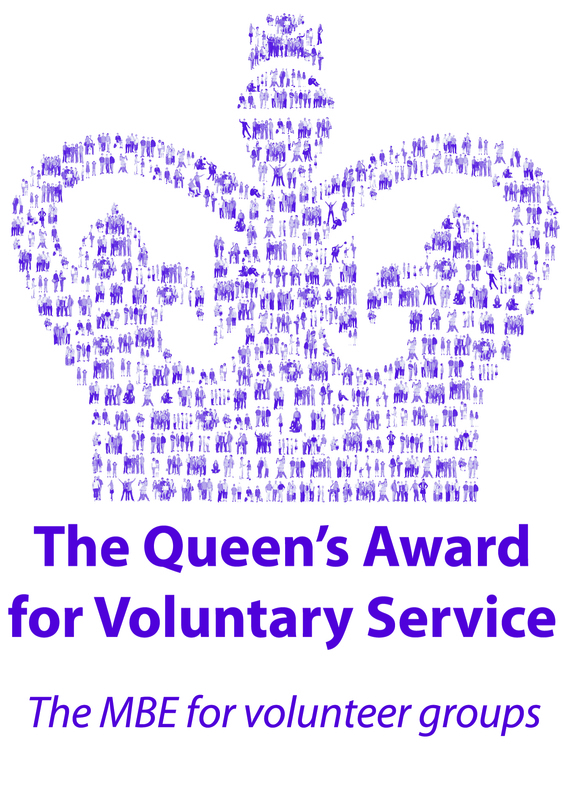 In July they attended a ceremony where the Lord Lieutenant of Lancashire, Lord Shuttleworth KCVO presented the award on behalf of Her Majesty the Queen. This entry was posted in Uncategorized on June 3, 2014 by gerryb48. Sandy Lane Gardening Group is based in Accrington in East Lancashire. We are a service user led initiative and have our own constitution, committee and bank account. All our members are service users with mental health issues and who are supported by Creative Support which is one of the leading support providers in the UK. Our members live either at Sandy Lane, which is an Eaves Brook Housing property, Blackburn Road Project or have their own homes in the community whilst still receiving support services. We started in July 2009 when the residents at Sandy Lane, together with other service users, decided to develop an unused part of the garden and start growing fruit and vegetables. We were helped with grants from Eaves Brook and Creative Support but our ambitions grew very quickly and we soon realised that we would need to access more grants. We found that the most effective way to do this was by formalising our group and having a constitution, committee and bank account. Eaves Brook supported us in setting ourselves up as a formal association. Creative Support staff supported us individually when necessary to get all the arrangements in place and in September 2009 we became a formally constituted group.. However, from the outset we wanted the gardening group to be a totally service user led initiative and Creative Support has supported us in achieving that ambition. The service users at Sandy Lane, capably led by Allan, now have the skills and motivation to maintain and further improve their garden. So, four years later, as you will read, we had virtually completed the work at Sandy Lane, become self financing, and were using the equipment and skills that we had built up in order to help others. We have worked with two learning disability projects in Accrington and have been awarded the garden maintenance contracts for Plantation Cottage and Pendle View. Apart from the routine garden maintenance we had been raising funds in order to make these two gardens more accessible for their service users. 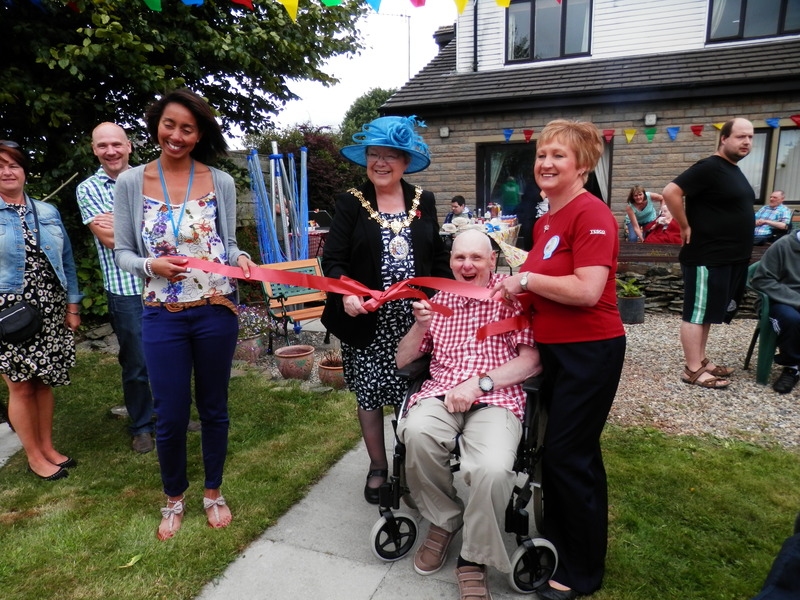 We had installed raised beds, a polytunnel and an orchard at Plantation Cottage and at Pendle View had created a fish pond, built raised beds, erected a greenhouse and constructed over a hundred feet of flagged pathways so that the service users could get into and enjoy their wonderful garden.